Home » 5 Key Questions that need to be answered before deciding on the type of home you need. 5 Key Questions that need to be answered before deciding on the type of home you need. There are hundreds of things to contemplate when you are deciding whether to build a new home or buy an established home, as you would know if you have ever been in that position. Single storey home designs as opposed to double storey, what suburb you want to live in, the size of the home you need to accommodate your existing or planned family, how long you plan to live in the home, what style of décor you like, the total costs and that is just the beginning! Single storey homes have always been the most popular types of homes in Perth though there has been rapid growth in the 2 storey segment of the housing market, mostly due to decreased lot sizes in most suburbs. Today’s blog is dedicated to discussing some of the aspects of Modern single storey homes that buyers should take into account when planning to build or even when looking to buy an established home. How long do you intend to live in this home? Determining how long you want to stay in your next home will help with your decision-making in regards to the size of the home you need and how much importance you should place on things like interior décor, privacy and how much to spend. Will my new home be susceptible to severe storms and flooding? The location of your home can have an impact on how much it costs you to maintain the home but also whether your home is designed to withstand natural disasters. What are the chances of your home flooding? Will your house fall apart in strong winds? Will my family be safe in this single storey home during a severe storm? Does the house have enough space? If you intend to live in your new home for the foreseeable future, you should consider if there will be enough space for you to grow your family. Do you often have house guests or extended family visit and can you accommodate them? How many bedrooms do you need? Are there dedicated areas for the kids to play or for adults to relax away from the kids? Is there room on the land to extend the home should you need more space? What style of interior décor would you prefer? If you are going to be in this new house for a long period of time, you need to be happy with your surroundings. How much money are you willing to spend on making your house a home? Will your existing furniture and white goods fit into your new home or will you have to outlay more money for appliances on top of your new home? How important is outdoor living? If you are the type of person/family that likes to entertain, you would probably want your next Perth single storey home to have lots of backyard space for a patio, outdoor kitchen, a pool and room for the kids to play. Does your new home design allow for entertaining guests? How much will you need to spend to personalise your entertaining spaces? 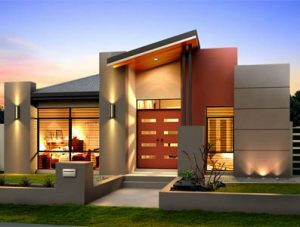 Hopefully this article has given you some useful tips to assist you in your journey to find the perfect Single storey home design for you and your family. The internet is a wonderful tool to use in searching for designs and for any other information you may need. Thinking about Visiting a Display Home? Think Again!